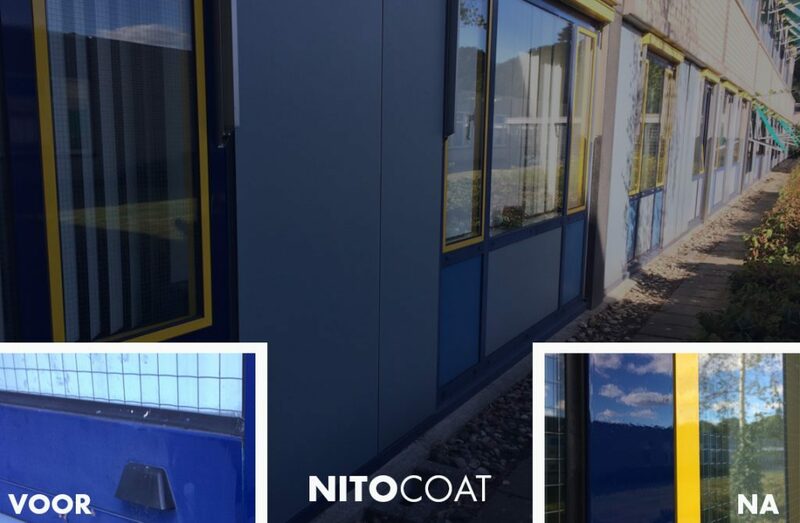 Real estate manager Dion in Hardenberg accidentally spotted a test piece of the product NITOCOAT at a door of the Scheper Hospital in Emmen at the beginning of 2015. 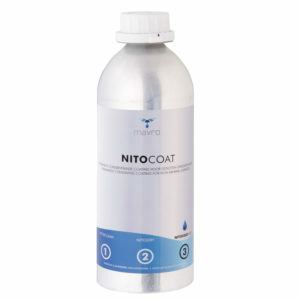 Following that test piece, they decided to treat their own beautiful building with the preservative coating. Slot Schilders in Hardenberg has won the tender and has started work in October 2016. 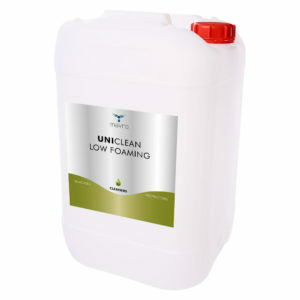 The frames and Trespa panels are first cleaned and degreased with UNICLEAN LOW FOAMING and ISOPROPANOL and then preserved with NITOCOAT.